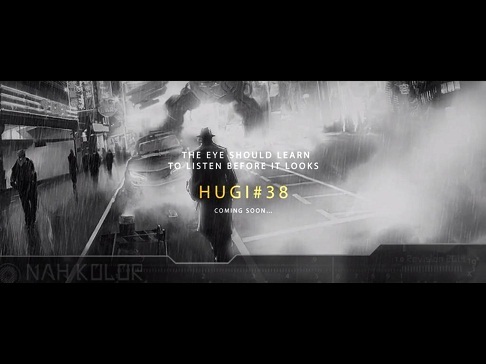 "The Eye Should Learn To Listen Before It Looks"
This issue of Hugi proved to be the most time consuming one to produce. There were many periods in which I was not working on this issue, mostly due to other priorities. But it was still hard work and without motivation or a certain urge time flies by fast when you are living and enjoying a normal everyday life. Life without a hobby could be boring, I said more than once in the past, and thus, finally, after more than 2 years since issue #37, we were able to release issue #38. In the period from May 10th till June 8th 2014 about 20 articles were finished. Either by me or others. It was necessary. It was taking all to long in my humble opinion. And it worked out. It sparked many contributors and myself and things got rolling again to finish it. A process I recognize from earlier issues also of course, but this time that happened quite late. Some articles were written and created in a short timeframe, others in the course of months, some even took almost a year. It was great fun working on articles with all those great sceners who were willing to answer questions. The focus of this issue is also a bit on the Commodore 64 scene. Now we are really a diskmag with multi-platform contents. From Amiga to CPC, from PC to Commodore 64. It's all inside Hugi #38.
contributions they wanted to make and we got in the end. This issue is for the demoscene! Diskmags are not extinct yet :) Let's start with all my thank-yous now. This issue became really great only thanks to the demosceners who offered to help out. Not only contents-wise but especially with graphics and music. I think these aspects of Hugi always give a great experience next to the contents, which makes reading Hugi a more special experience than surfing on the web. Thank you, Forcer, for the great titlepic! You are making such an amount of awesome pictures and you never seem to stop! Also this time around. Finally you got the position for making the title pic. Keep 'em coming! Also, I do hope you enjoy Prince's end picture (surprise!). I reviewed a few release candidate versions of the end picture until there was the final version which is in place now. Read about the making of this pic in this issue of Hugi as well. A special thank-you to Xerxes and Slayer. Both got sick in the last few weeks before the release. I hope you are doing fine now and stay healthy! 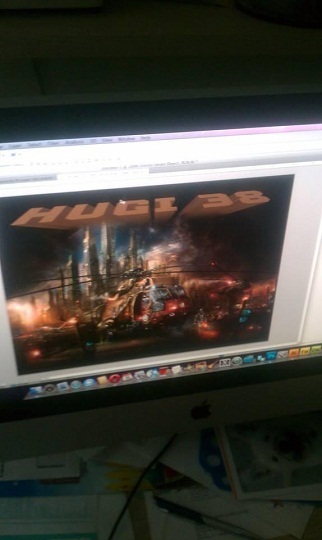 A big thank to Prince for letting me be part of the creation process of your end picture for Hugi. Thank you Magnar, this time the development of your music didn't went as smooth as in previous issues. It's really amazing what passion you have for the demoscene! Even on your boat on some island with 25+ sunshine on your sunbed! :) Keep it up! Special thank-yous to Pal of Offence and Bob of Censor Design. It was really fun working on those articles with you for such a long time frame! Good luck in the coming months till October! 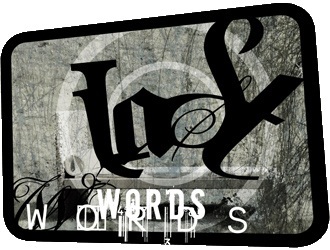 Other thank-yous go to Navis, Ziphoid, Gasman, Menace, Pixtur, NTSC, Nytrik, Rorque, IQ, Cryptic and Velo, Lord Helmet, Wiklund, Hoffman, CiH, Phoenix, Response, GRX and Zonbie! Whose contributions or help made this issue what it is. To all I forgot, feel my gratitude as well! Can't mention everybody now here, can I? I honestly don't know. The future will tell. I have been writing for or making diskmags for the last 20 years on Amiga and PC. Probably the usual break is starting now and then new projects will come again - I am sure of it! 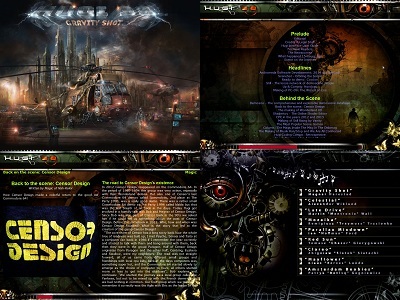 Wondering what splendid demoscene releases the rest of 2014 will bring (at Assembly, Evoke, Function and X) and what we will see even further in the future, at Revision 2015, I hereby leave you all to get back to this Hugi issue and discover the special stuff which is to be found in every article. For example special illustrations or photos, links related to the article at the end or within the article etc. For every article we tried to collect as much material as possible to support the written text. Have fun! Until the next time, whereever that may be!